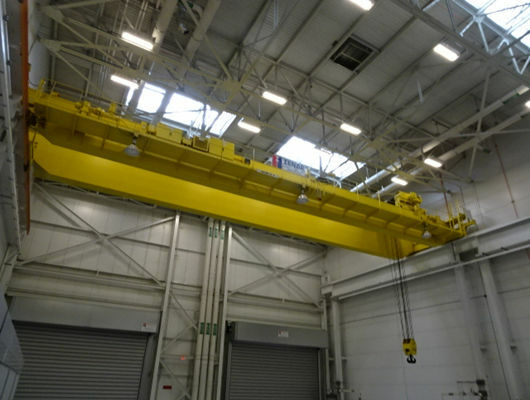 50 ton overhead crane is the ideal lifting equipment for material handling in harsh conditions. It is suitable for assembly and maintenance operations. A series of products offers first-class flexibility and is suitable for almost any industrial scenario. It combines into the latest advanced design with durable components and computer intelligence, which ensures the overall controlling ability of material handling. The crane has robust ability and can easily be customized for multiple configurations. With two trolley travelling mechanisms, the lifting capacity can be even higher. What’ s more, the real advantage of the crane lies in its modular design, and you will experience the best choices and flexibility. The product widely adopts the advanced technology, which improves the user’s security and production efficiency. Through our intelligent functions, we achieve full control over material handling and improve operator safety. As a result, it shortens work periods. The crane market’s demand and user’s concept are relatively diversified. Users would like to pursue standard lifting equipment that is more compact, more efficient, and safe. Our company relies on the leading technology, global experience and professional knowledge to penetrate into various industries, which provides users with various lifting solutions and services. Gradually, we develop the business to general manufacturing, power, automotive automation, mining, steel, rail transportation, ports and other fields. Weihua cranes rely on the technical advantage. We pay attention to the customer needs and value. We timely update product performance and effectively integrate our service plans. From intelligent cranes with various functions including remote operating systems, which provides you with cost-effective standard lifting equipment. In addition, we implement a full set of equipment solutions, which provides you with high quality products and good services. Our company’s cranes have been applied and recognized in many industrial fields of the crane market. 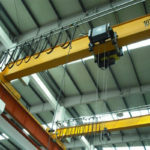 Most customers want to make 50 ton overhead crane safely operate. Then, you should install some safe devices and take some measures. Firstly, you can choose the remote controller. If your operator can use the remote control at any time, how long can it save? More importantly, the remote control provides the user with the safest way to operate the crane. In addition, it can offer the best field of view without being limited by the length of the communicator cable or the position of the mobile. The operator can make faster, better and safer choices and move the crane to the best position. In some cases, the remote control can help the operator to perform certain tasks independently without the need for assemblers or other workers to work together. When the plant crane covers a long period of time (sometimes 100 meters or more), the advantages of remote control are even more prominent. 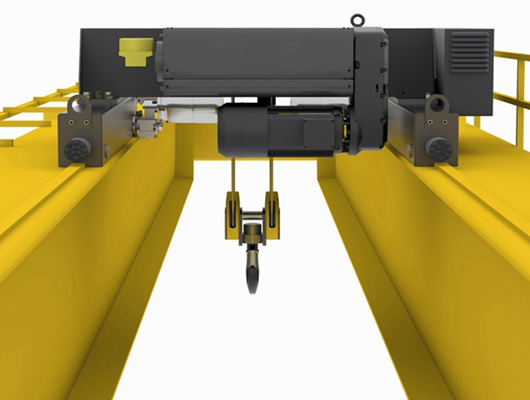 Most standard cranes can complete control conversions working in less time. The crane upgrade program of remote control is very simple. Our company can also modify the remote control for cranes equipped with single and double hoists, such as heavy duty cranes, light duty cranes or other overhead cranes. In terms of management and operation model, we have also made some real-time adjustments. Our business management model has shifted from a single management model to a straight management model for global business lines. In order to achieve high management efficiency and resource concentration, the overall management cost will be reduced and the profitability of the company will be improved. Then, technical updates and collaboration will be strengthened. At the same time, the way improves the efficiency of the group’s integration work and helps the company effectively implement a unified strategy. We seize the market demand, and put the appropriate products into the market with the corresponding need. Within several years, we l implement business plan with the specific brand and industry-wide strategic. Through re-analysis re-integration, and adjustment for 50 ton bridge cranes, currently, we can meet the customers’ requirement for products. As a result, after over 30-year development, our product’s cost can be reduced. However, our quality of crane still has good performance. When you order or purchase our bridge cranes, you can save some cost. If you want to buy our products, whether it is small or large order, we will give you the reasonable discount. 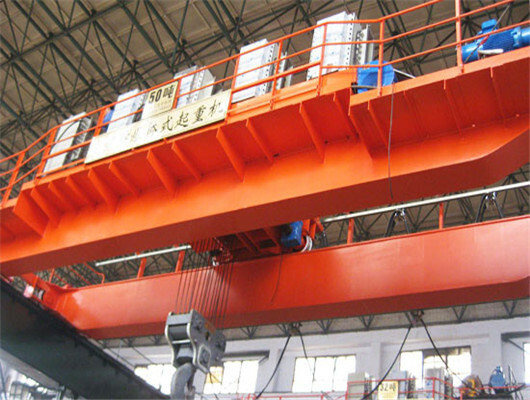 50 ton overhead crane is the new generation crane of for large-scale and high-efficiency lifting equipment. We use the latest technology to significantly increase production safety and efficiency. For the industrial bridge cranes from the individual components to the entire operation process, all reflect our company’s highest quality requirements. These products have a variety of types, which ranges from the basic configuration of the standard models to the use of high-tech advanced models. Its high adaptability has become one of the highlights of this series of products. The biggest advantage of this product is its ability that makes best of service space of crane. In addition, with the help of a variety of intelligent functions, the operation of the crane can be made easier. The key mechanical components are designed, manufactured and assembled in the factory by crane experts for the special conditions of the crane. Our 50 ton crane is a leader in the market for similar products. At the same time, safety and environmental protection are also the top priorities of the manufacturing industry. We not only regard safety and environmental protection as the starting point for R&D, but also embody it in every day-to-day work experience, at any stage of R&D, production, sales, and service. They even exceed standards for safety and environment, which is our corporate responsibility and our commitment. 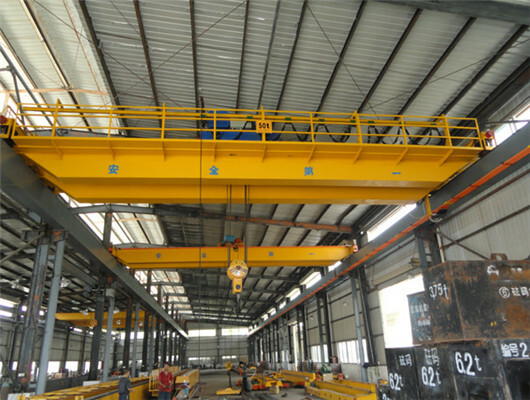 According to different working sites, we can design different type’s 50 ton overhead crane. In addition, it has the limit dimensions and main dimensions. For technical specifications, we adopt standard design model with easy operation, beautiful exterior, low noise, and good performance. We are the world’s leading professional crane manufacturer and serve a wide range of customers, including general manufacturing and processing industries, shipyards, ports and other working sites. When you buy the crane, you can tell us your ideals about the product information. We can give some reasonable advice and help you follow the right one. If you wan to order the special crane structure, you can get in touch with us as soon as possible. If you are interested in our products or need our other overhead cranes, please call or email Weihua . When you have any demand or order, please get your free inquiry.